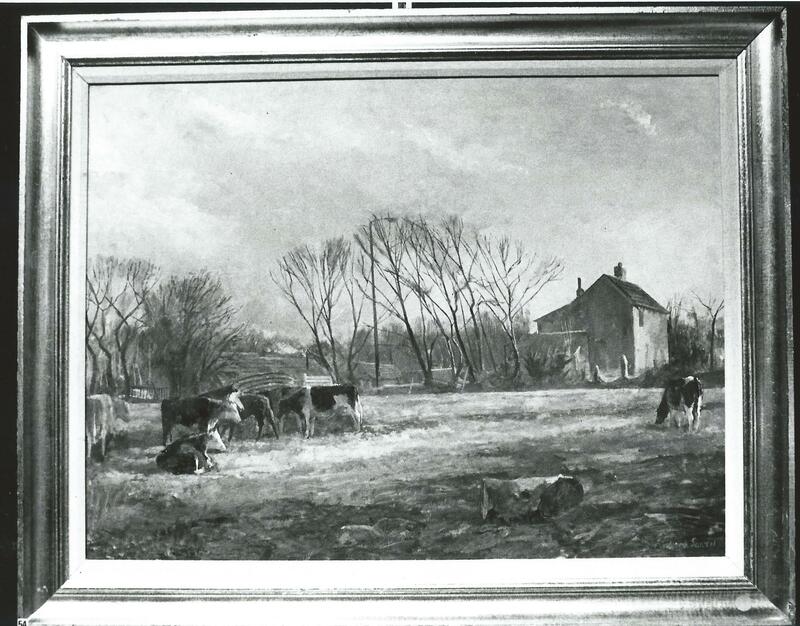 This is a general look at a very talented local family who lived in Daws Heath. Alan Sorrell is well known, principally as an archaeological and historical illustrator. 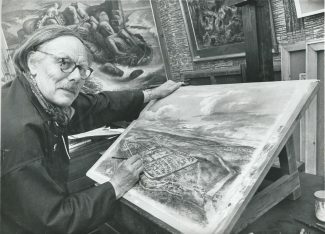 In 1936, he sketched excavations in Leicester and, in 1937, the then Dr Mortimer Wheeler asked him for reconstruction drawings of Maiden Castle. Very many more reconstructions followed including “The Attack on Southchurch Hall” in 1969 and ones of Rayleigh Mount in 1970 and Roman Colchester in 1972. He provided illustrations for at least 15 books in total. 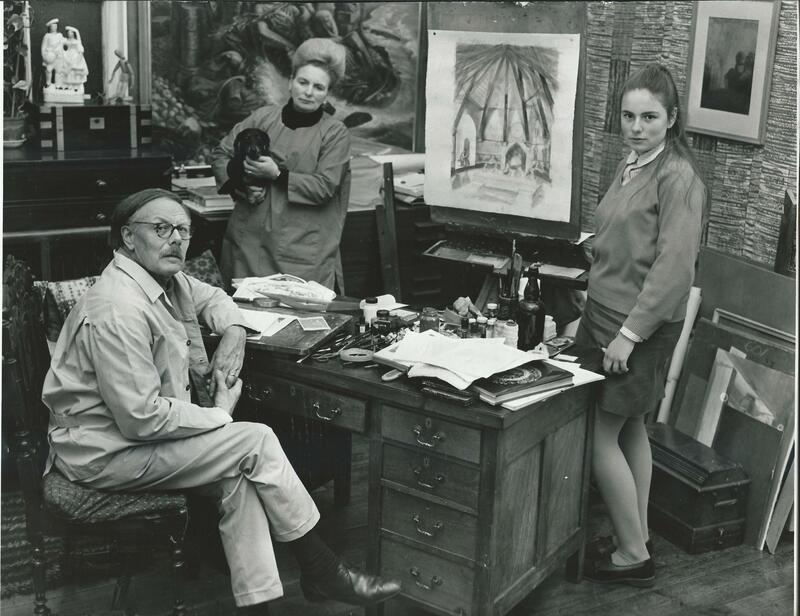 (Alan’s life story and over 100 examples of his artwork can be seen in the excellently illustrated book, “Alan Sorrell; The Life and Works of an English Neo-Romantic Artist”, part edited by his son, Richard, published by Sansom & Company in 2013). 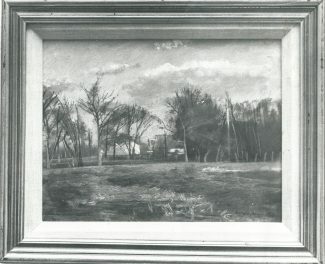 Alan married Elizabeth in 1947 and they moved into the old former Peculiar People’s chapel in Daws Heath Road, then known as “Thor’s Mead” when he painted it in 1947-1950. 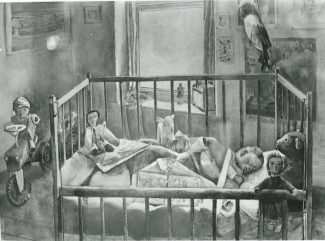 Alan and Elizabeth were both Members of the Royal Watercolour Society. They converted the front south-facing part of the chapel into a studio, but it doubled as a living room where their children were brought up surrounded by art. 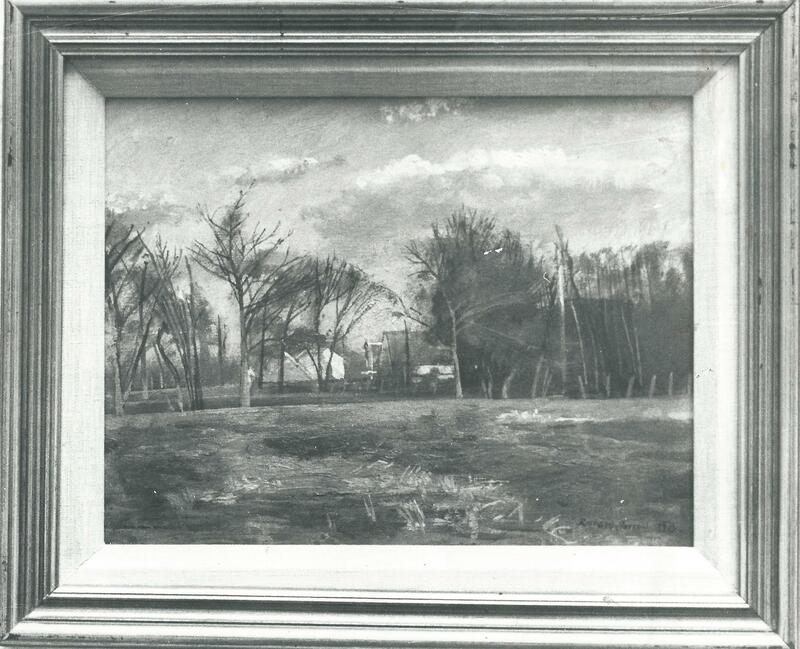 No television or radio was allowed in the house, leaving great scope for art and walks in the surrounding fields. 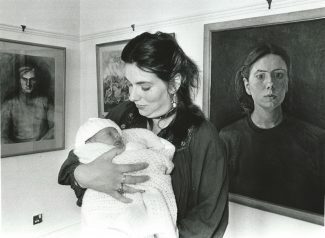 They had three children, Richard (born 1948), Mark (born 1952) and Julia (born 1955). The children shared their father’s interest in archaeology and the family collected many items during their walks around Daws Heath. In response to an enquiry about a Stone Age flint, Richard aged 10 received a letter in l958 from Professor Richard Atkinson, then excavating Stonehenge, an advantage of a father knowing the right people to ask. In about 1976, after his father died, Mark passed the family collection of flints and Roman pottery over to Southend Museum. 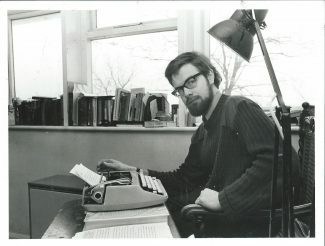 Mark went on to become a writer, publishing in 1980, “The Peculiar People”, a history of a group of people with very strong local connections. 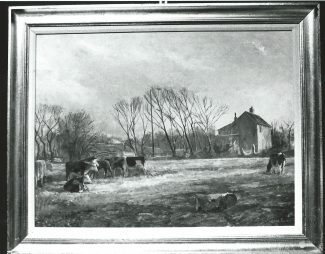 Richard went on to become an artist, painting at least one local Thundersley landscape. In 1965, he went to study at Walthamstow Art School for two years before going on to Kingston College of Art and the Royal Academy Schools. In his early career, he worked predominantly on landscapes, portraits and still life. In 2006, he became President of the Royal Watercolour Society. As his career progressed, his range widened to include invented paintings and his main medium became acrylics. We have a question for anyone who knows. Richard Sorrell also painted “Winter Landscape”. Was this also a local scene? The Archive would love to know. 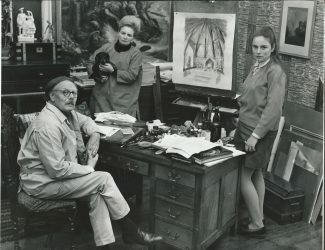 The family had their first “Sorrell Family” exhibition in Long Melford in 1970. 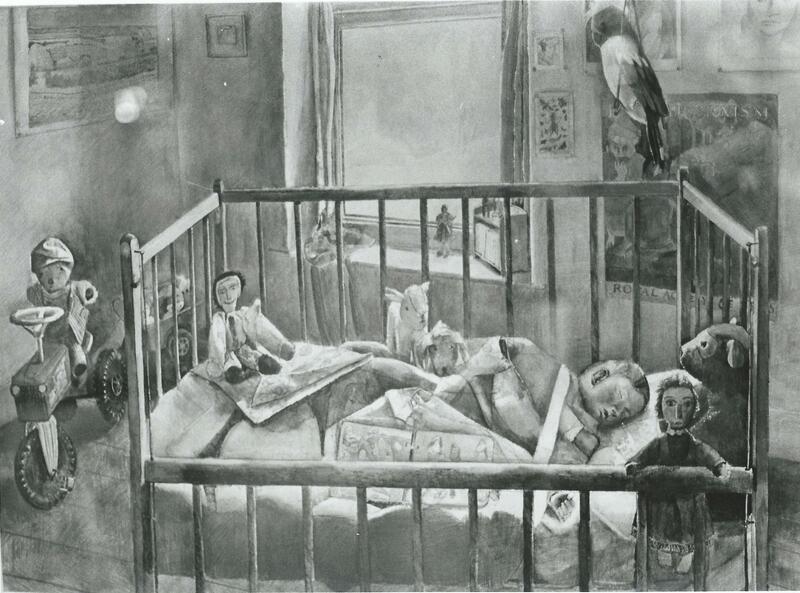 Julia also became a well known artist. 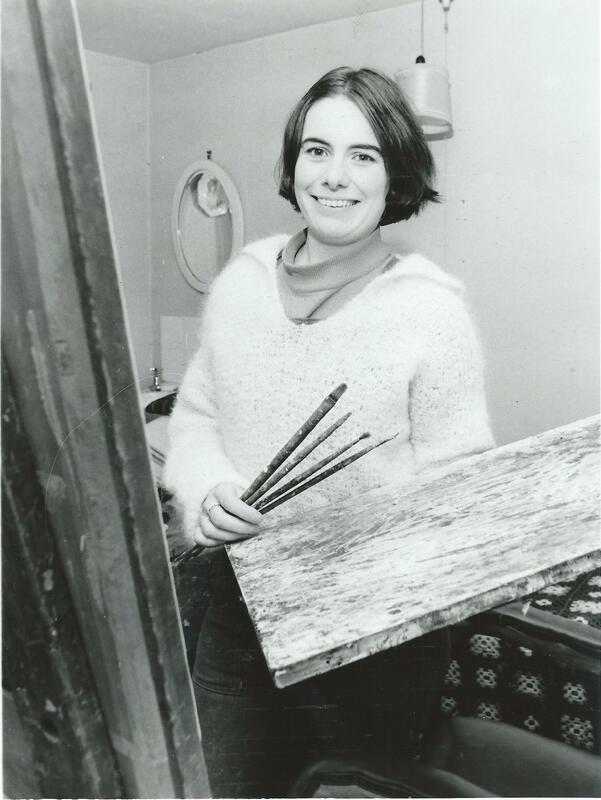 After she turned 13, Julia also started creating and exhibiting her own artwork. Some of Julia’s varied work has included views of archaeological sites following on from the interest shown by her father. 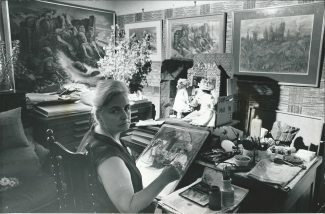 Initially in 1973 she went to study textiles and embroidery at Goldsmith’s College. Following the death of her father in 1974, Julia turned more towards drawing and painting, and gained a place at the Royal Academy of Arts in 1978. Her self-portrait gained second prize in the first National Portrait Gallery London Portrait Award in 1980. After that, there followed a commission from the National Portrait Gallery to paint Michael Ramsey, the former Archbishop of Canterbury. They really were a unique and talented family. For further information on Alan Sorrell, read the article, “The Painter of History” by Robert Hallmann, an extract from his book, “Thundersley and Daws Heath” (Available from various local outlets). Julia Sorrell has made 2 videos explaining her father’s work using both the family and local people as his models.